The Windows 7 blog from Microsoft recently posted information on new "global" features for the next version of Windows (which would be Windows 7). Most of the focus in terms of fonts is on languages from South Asia (India in particular) and Southeast Asia (including Lao and Khmer fonts). Microsoft is also announcing enhancements for displaying Arabic script characters and a new Font control panel (which now include a font preview). Microsoft is also releasing pilots of new localization features. I suspect a lot of people either skipped Vista or returned to Windows XP, so it is worth mentioning that Vista had already included substantial additions in its font and locale repertoire including Ethiopic support and several Indian languages. I've heard a few good things about Windows 7 through the grapevine, so I am crossing my fingers. I will be anxious to test it in the Penn State environment. The Windows International keyboard is a Windows utility from Microsoft which allows users to enter a variety of accent codes with combinations of keys like '+e (for é) instead of memorizing a list of numeric ALT codes. 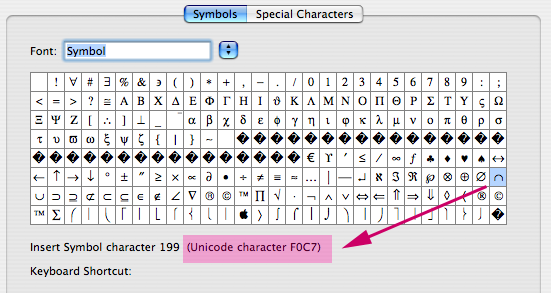 If you are typing a lot of accented characters on a Windows machine, it's a godsend. The interesting thing is that you can now download a Mac version of the Windows International keyboard. As a longtime Mac addict, I find it amusing because I am so used to the Apple Option keys. To me it's an interesting reduncancy. But I can imagine that if you are a long-time Windows user, you may not want to re-learn a new set of Option codes. I can relate, because I've been struggling with my new phonetics keyboard which is very different from my old one. There's some serious retraining needed before I could use it. What's really important is that there are utilities out there which allow users to customize their keyboards to just the way they want it. Vive la différance.